At 5am this morning, I left my house for a morning trip to Chek Jawa. This is not my usual morning shore trip session. 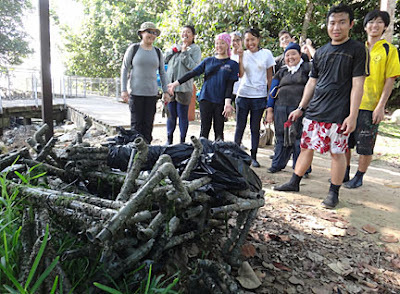 A small team is heading there for manual work to help Siti with her seagrass experiment. It is my first time travelling to Chek Jawa before sunrise. 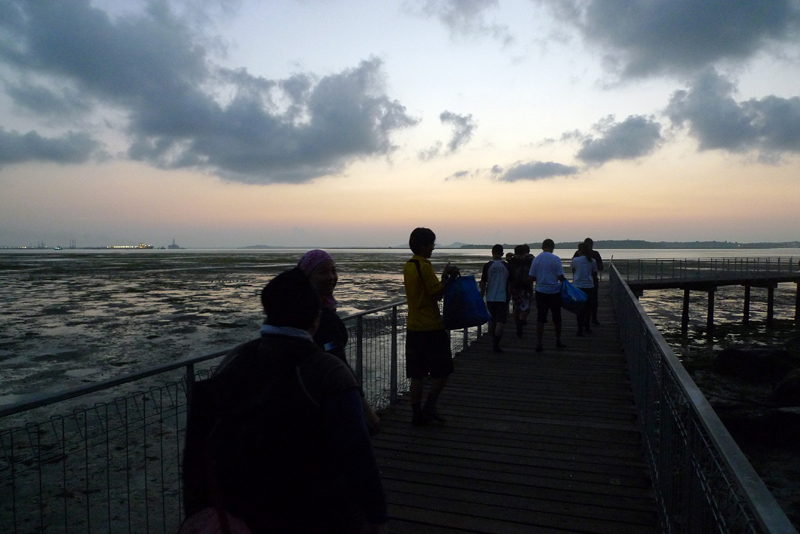 Luckily, prior notice was given and the main gate to Chek Jawa was open when we arrived. While making our way to the pontoon, the sky was starting to light up. On our way to the pontoon. Even when we reached the shore, the light was dull and boring and we thought the sunrise was boring today. 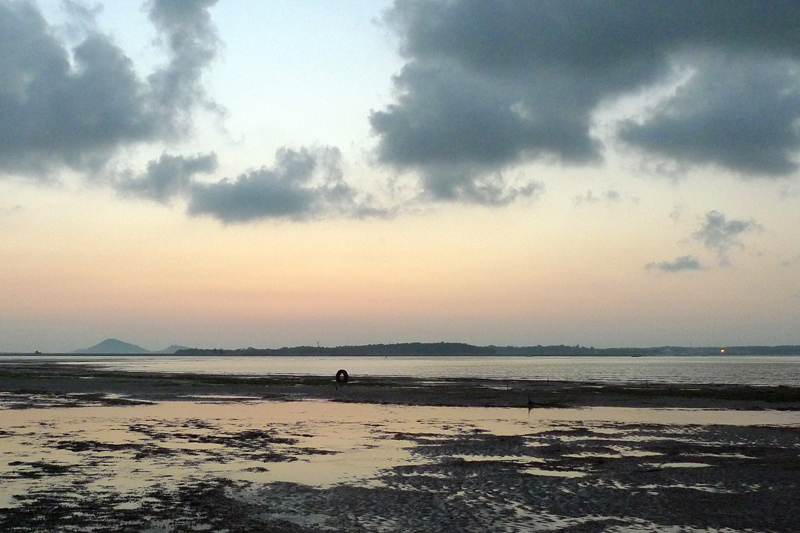 A tyre sits vertically on the far horizon. The Sun decided to give the team a sunny welcome to the shore. 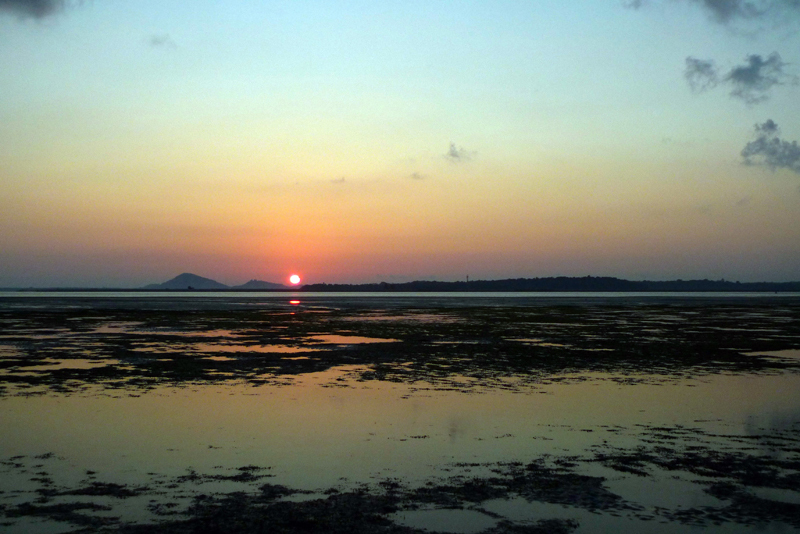 Wonderful sunrise on Chek Jawa. With a short briefing and task allocation by Siti, we are off to work. First, I had to help cut the cable ties from the experimental set up so that another team can remove them for the smashing process. After finishing my first task, I helped Ria to pick up the smashed bits for tying. The smash team and me helping to pick up the bits at the back. Due to long exposure of the setups in the sea, the every structure was heavily covered with barnacles, eggs of drill snail and many other marine animals. We had to be careful of flying barnacles and shells in the smash zone. With many helpers working hard, we completed the tasks effectively. All setup smashed and bundled. 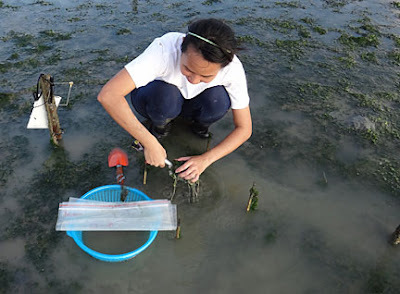 The last task was to harvesting seagrass from Siti's experiment sites. It was a tough done digging up each plot and then sieve it to get the seagrass. 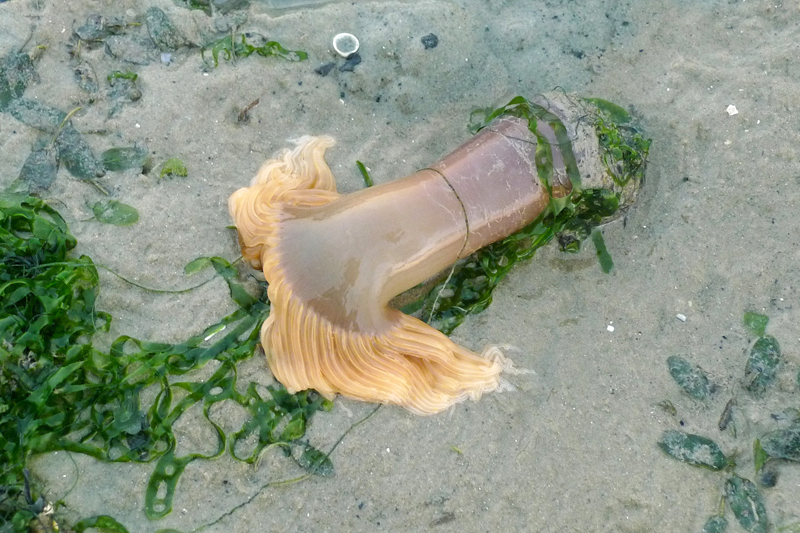 I felt like a marine gardener. Work was half done after clearing all the setup out there. 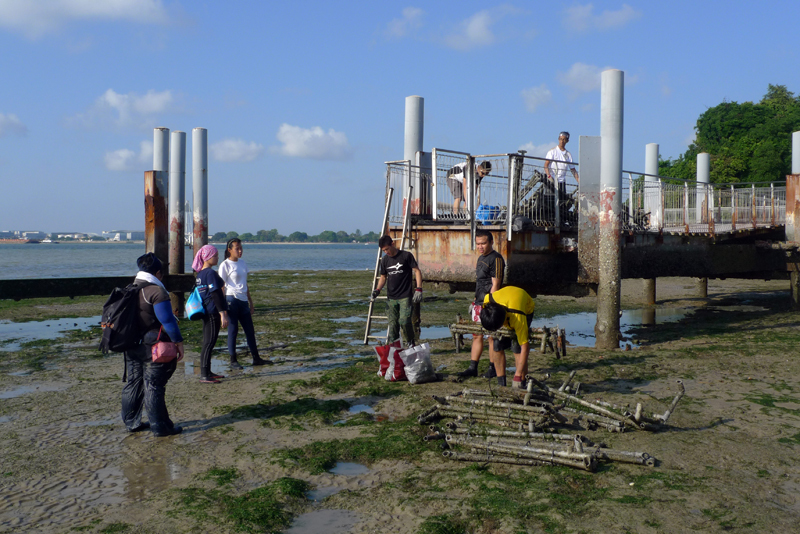 The team had to transport all the stuff up the pontoon and to the collection point. 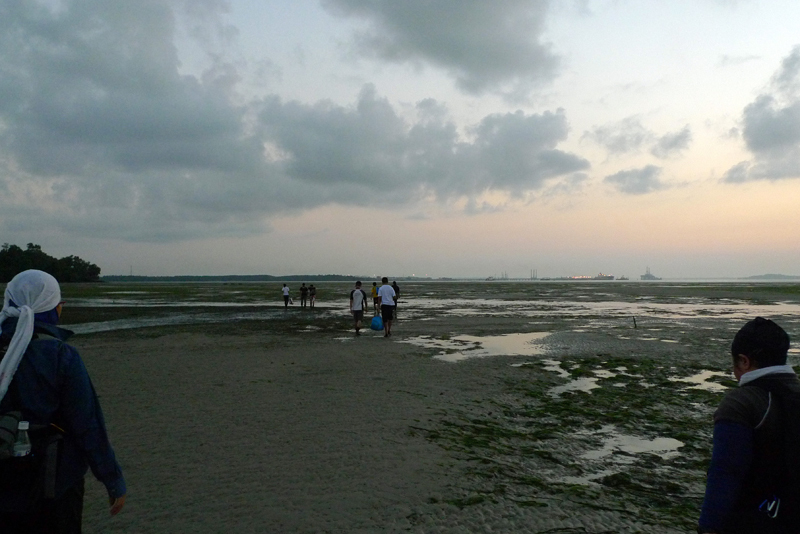 Siti will be conducting a Seagrass Workshop on 2 July 2012 (Monday). The workshop is FREE and it is the school holiday in lieu for schooling students. Come for the workshop to learn more about seagrass. 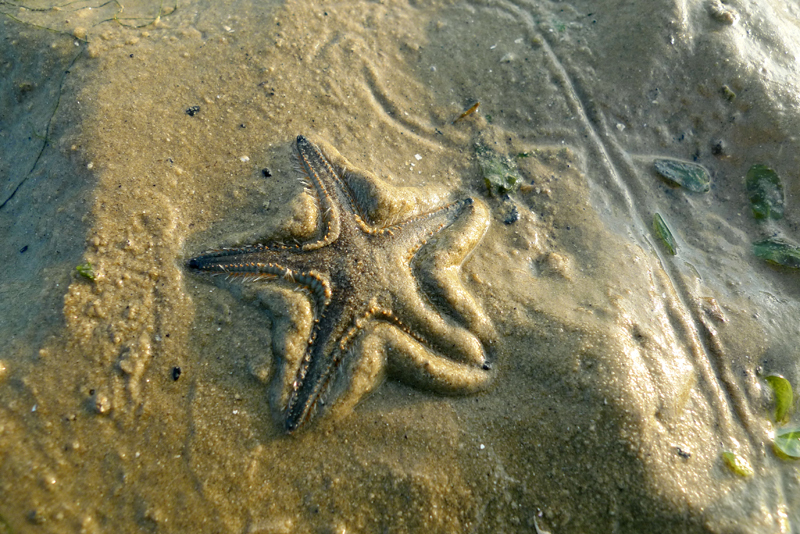 How can we forget about the marine life at Chek Jawa? Everyone was busy working and did not have the time to take photos. Luckily I managed to take a few shot while making my way to the work site and I only have 2 photos. 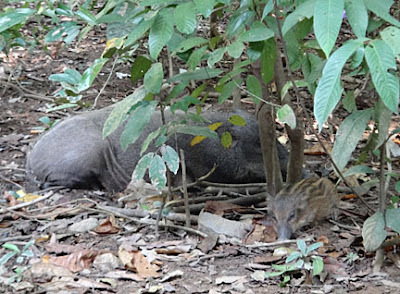 At the hut outside Chek Jawa, mama wild boar was laying quietly on the edge of the forested area having a nap with her piglets. 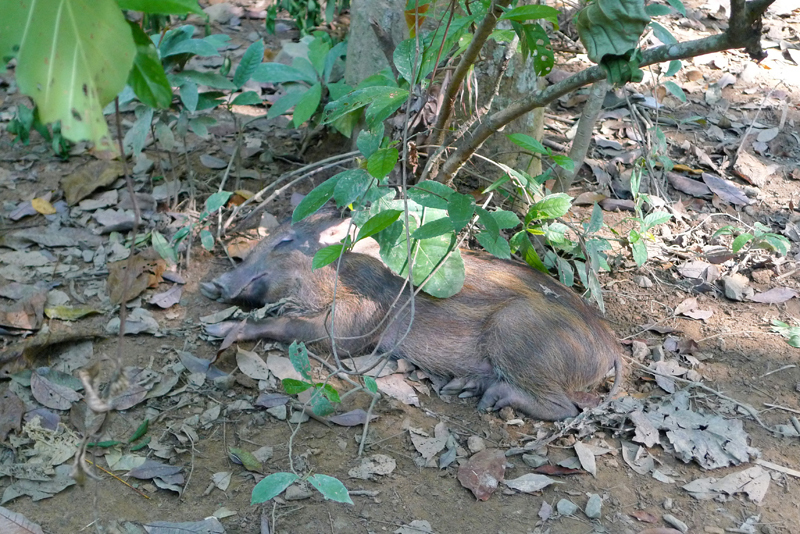 In a nearby tree an older piglet lays there, not even interested of our presence as it continues with its sleep. 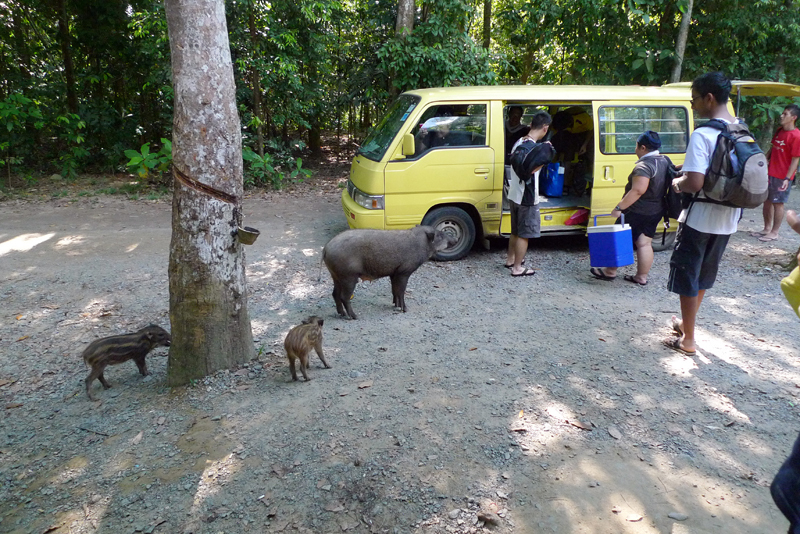 As our van approaches, the wild boars got up thinking there is food. The image below looks like the wild boars are sending the team off. It was a morning of hard work and the team rewards ourselves with the tasty Changi Village nasi lemak back on mainland at Airfield coffeeshop. More work tomorrow as I visit a submerged reef to help Siti. Ria also blogged about today's hard work and the interesting transportation method.